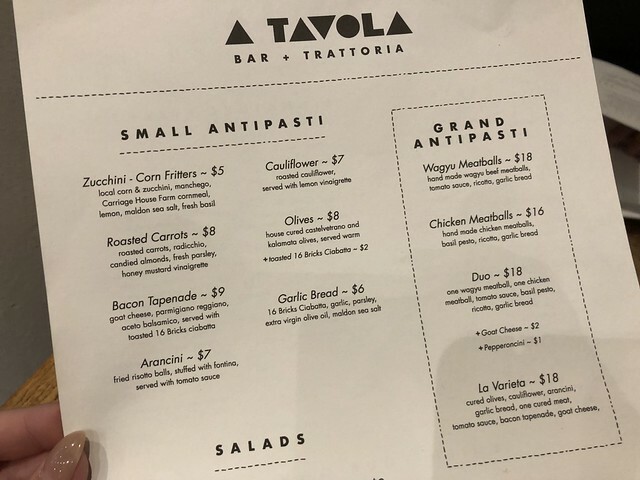 A Tavola is an Italian bar that is known for its delicious offerings and cool vibe. We stopped here for just a quick snack - in between our main meals - but it was so cute. 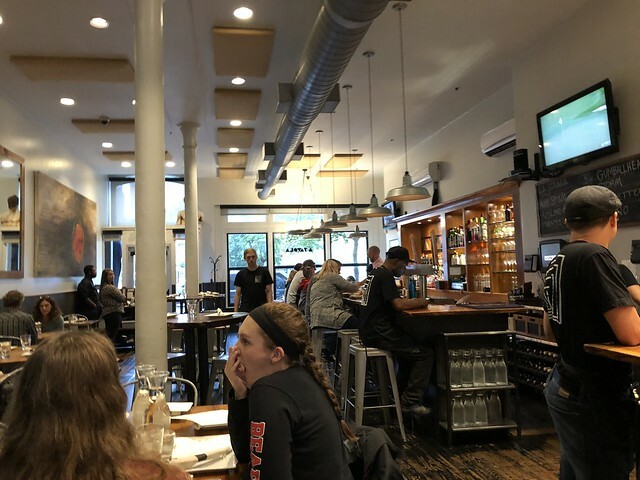 A TAVOLA is a community gathering place, a modern interpretation of the timeless Italian bar and trattorias in cities like Naples, Rome, Venice, Bologna, and Florence, which have served as local gathering places for hundreds of years. 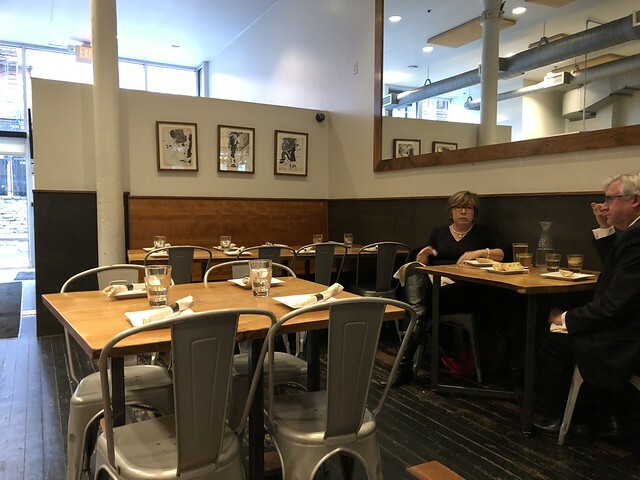 At A Tavola we are about family, and our restaurant is an extension of your dining room. 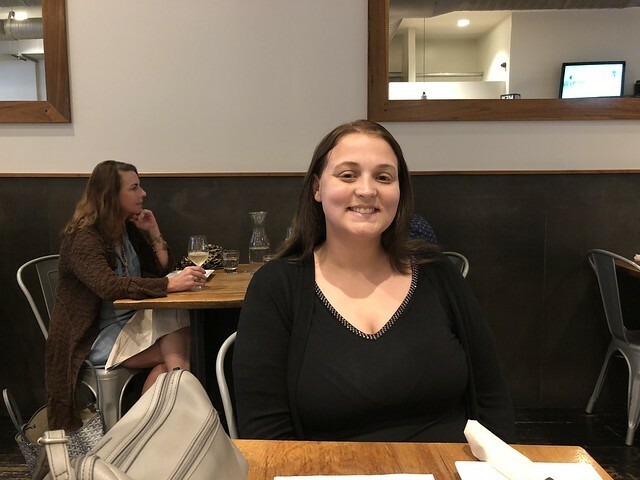 Pizza, pasta, platters, and wine are meant for sharing which helps create the communal atmosphere that makes the A TAVOLA experience. Our food is based on family recipes, made by hand from the finest ingredients available, and inspired by our travels. We make it just like your grandma would, and just like your grandma we care about what you eat and drink. 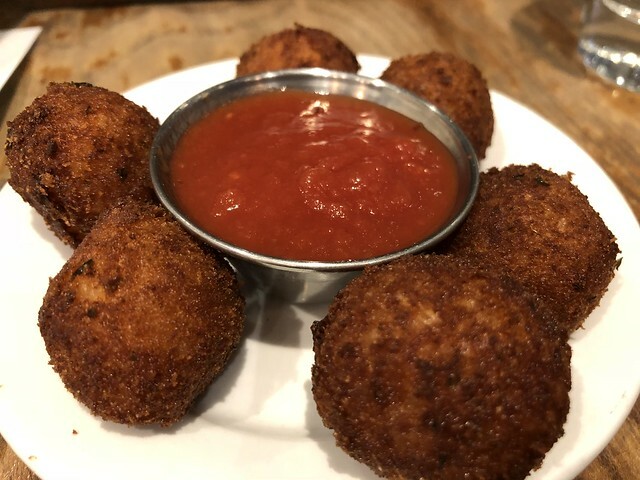 We ordered the arancini to split. 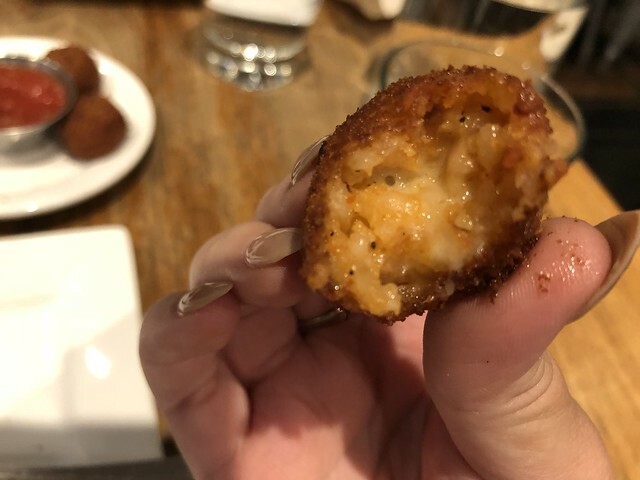 Arancini are fried risotto balls, stuffed with fontina, and they were served with tomato sauce. I love these little balls of goodness. Crunchy, creamy, and delish! Have you tried these?